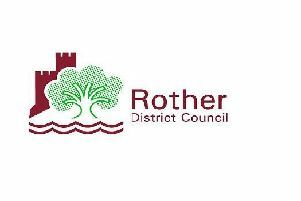 The decision by Rother’s Conservative cabinet on Monday, September 7 to reduce the community grant for the Hastings Furniture Service from £9,453 to £2,000 appears to be insensitive and disappointing. Hastings Furniture Service (HFS), based in London Road, Central Bexhill, provides an outstanding community service, recycling unwanted furniture, often as a result of house clearances following bereavements. Whilst the public is able to purchase furniture at the market rate for good quality second hand products, some 700 households on low incomes have purchased furniture at heavily discounted prices and some 50 households in crisis have been helped as part of a resettlement package. HFS has also apparently helped many of the 3,600 Rother residents with affordability problems heating their homes. However, it wishes to expand its service to providing second hand curtains at discounted prices to low income families. Councillor Joy Hughes (Conservative, Bexhill Central) told the cabinet that a considerable quantity of second hand curtains end up in landfill as a result of house clearances. These could be usefully recycled. HFS needs storage space for these curtains as well as needing to employ an apprentice on minimum wage to pilot the scheme. It’s been costed at £ 18,907 in the first year of which HFS can fund £ 8,913. The community benefit from this micro investment appears massive. The community grants scheme has £ 130,000 available this year and funding is available for the HFS application. The community grants panel had recommended acceptance. Whilst a number of schemes in the Rother countryside were voted through by Rother’s Conservative cabinet, including £ 10,000 towards the redevelopment of the sports pavilion in Pett and £ 20,000 towards the creation of cricket and football pitches in Etchingham, this socially needed project benefiting Bexhill residents in need had its funding slashed. The arguments for turning down the application appeared to be concern about the project’s longer-term sustainability and the apparent need for a second source of external funding. In the second case, Bexhill is disadvantaged in relation to the countryside where parish or town councils are able to contribute, sharing the cost with Rother. Bexhill has so far not got a town council. As recent Labour candidates for Bexhill Central ward on Rother Council, we are willing to work with councillor Joy Hughes and HFS to seek to get this decision overturned. We have the professional skills in business planning, finance and marketing as well as political skills to help achieve a positive outcome for the benefit of many. It would seem that the fastest result would be for three (or more) Rother councillors, who are members of the overview and scrutiny committee, to ‘call in’ this decision. This must be done within five working days of the publication of the minutes of the cabinet meeting.